Following on from my previous blog post mentioning the amazing WIMH Discovery Kits, I have another kit to share with you today. 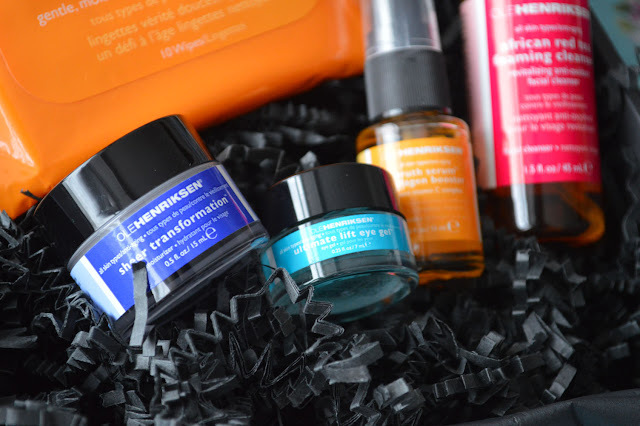 This time I will be reviewing a brand new to myself which is always exciting, The Best of OLE HENRIKSEN discovery kit contains 5 of the best selling products from the brand (sample size). Firstly I love how the discovery kits arrive from whatsinmyhandbag, housed in a black sleek box on a bed of black shredded paper. The products are wrapped within a layer of tissue paper with a personalised label, a great personal touch which is both endearing but would also be a great gift for a friend or family member. The OLE HENRIKSEN packaging is bright, interesting and simple. No fuss. OLE HENRIKSEN uses botanical beauty, Ole started out making his own products in his very own kitchen back in 1975. I enjoy using natural based products on my skin and body and really enjoyed sampling the products in the kit. Whilst I had never tried the brand I had of course read and heard about it from fellow beauty bloggers. Truth To Go Wipes (10pk), I'm still not sure about the scent of these. At first I loved using them and found the scent really fruity and fresh but after a couple more uses I think it became slightly off putting. 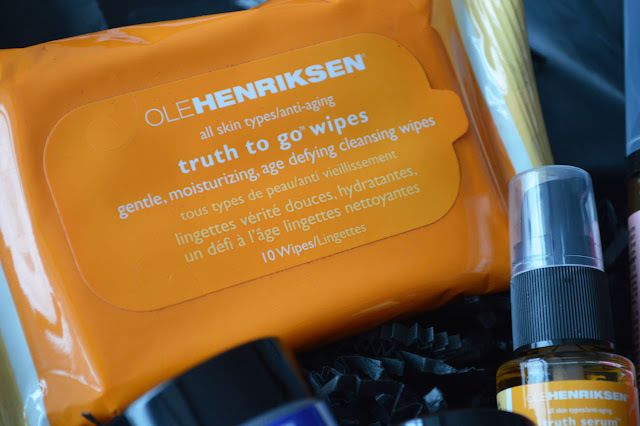 The wipes themselves feel soft and gentle on the skin, not scratchy at all. The botanicals contained in the wipes help dissolve and break down the makeup, whilst keeping the skin hydrated. This mini pack would be perfect for travelling. African Red Tea Foaming Cleanser (45ml) is a good foaming cleanser with a nice pleasant scent. A nice size for travelling. Truth Serum Collagen Booster (15ml) I love this serum, a powerful kick of vitamin C is just what my skin ordered. It's helped to brighten my complexion and keep my skin nourished. The serum contains antioxidants to fight off environmental aggressors. A great serum to try, I can see why this one is a popular product. Really impressed with the 15ml sample size. Sheer Transformation (15ml) a is an oil-free light weight cream. It feels light and absorbs well, great if you have any skin imperfections such as age spots or sun damage. This is a natural way to encourage fading without using chemicals. Ultimate Eye Lift Gel (7ml) feels amazingly cool on the eye area, even cooler if you pop it in the fridge. Calendula and cucumber revitalise the signs of fatigue and puffy eyes. If your eyes are easily irritated this would be a really eye gel to try. Fine lines are diminished and the eye area feels smooth and firmer. I've been using the eye gel for a little while and whilst I don't have obvious wrinkles around my eye area I have noticed my eye area looking firm and plump. 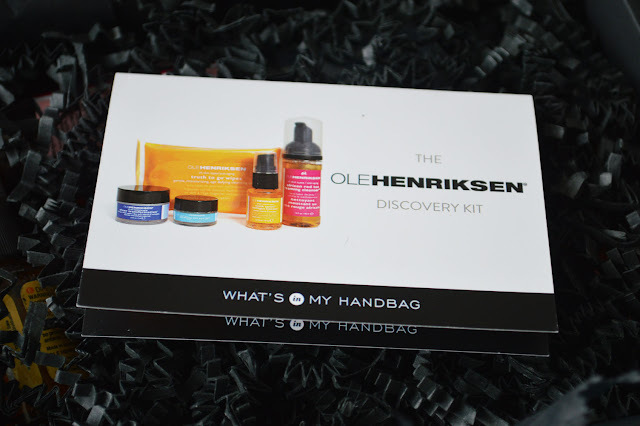 Whatsinmyhandbag have a range of discovery kits available, so whether you like the sound of the OLE HENRIKSEN kit or whether you would like to try the Korres kit there's something appealing to everyone. The lovely team from WIMH are giving Beauty In The Mirror readers an exclusive 20% off voucher code to use until 31st May on all orders over £10! Just pop in the code : MIRROR20 to receive you exclusive special 20% discount. Let me know what you think of the Discovery Kits, which kit would you like to try? 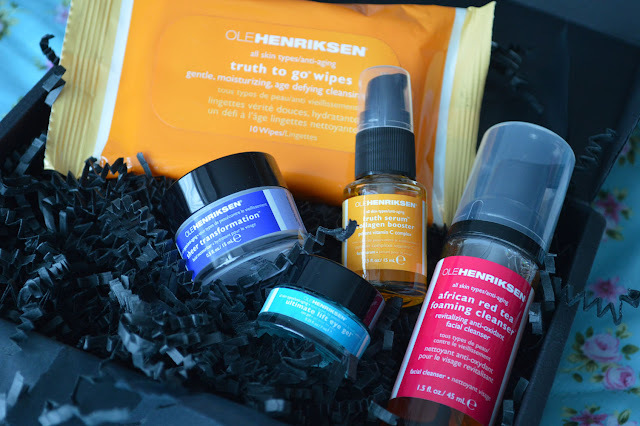 Have never tried Ole Henrikson, but have heard only good thins about the brand, defo gonna check it out soon! The Truth Serum is love!